Right before Fred Kerley broke the collegiate record in the 400m, he received a blessing from the man who held the mark for 25 years. 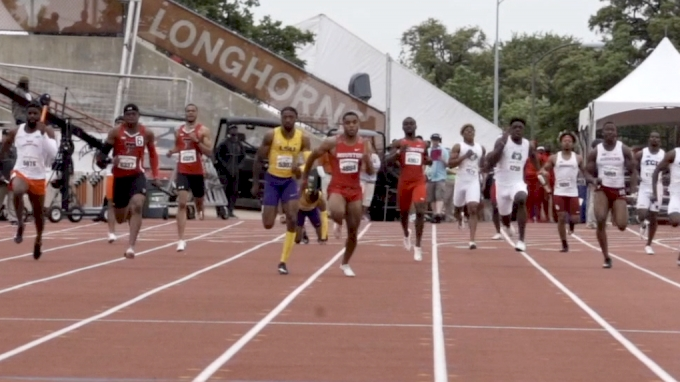 Just a few minutes before Kerley stepped on the starting line at the NCAA West Preliminary Round in Austin, Texas, on May 26, he met Quincy Watts. Now an assistant coach at the University of Southern California, Watts ran 44.00 to win the 1992 NCAA Outdoor Championship. His record had been untouched for a quarter of a century. In the warm-up area outside of Mike A. Myers Stadium, Watts was approached by Texas A&M head coach Pat Henry, who asked if Watts would like to meet the Aggies' star athlete. "I told [Kerley], 'It's not a matter of if you're going to break the record, it's a matter of when," Watts told FloTrack in a phone interview. Moments later, Kerley answered the question of when. 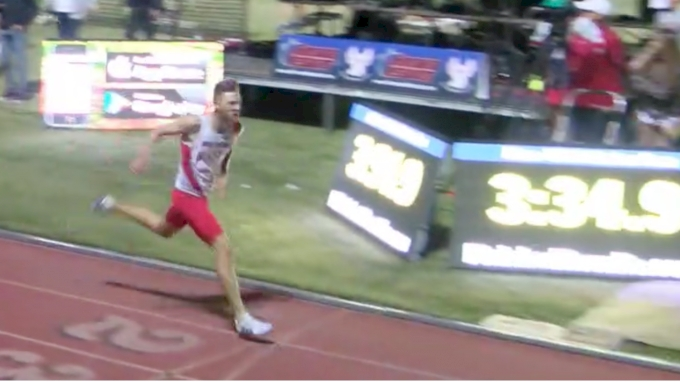 In a jaw-dropping display of strength, the senior unleashed a sprint that brought him around the track in 43.70, 0.30 seconds faster than Watts' record. The mark would have won gold at the 2000, 2004, 2008, and 2012 Olympic Games. As Kerley leaned across the finish line, he smiled knowing the gravity of his accomplishment and the man who held the record prior to him. 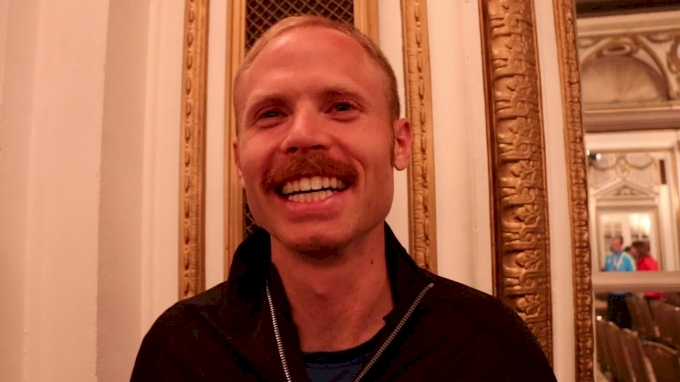 While watching the race from the 300m mark, Watts could see his prediction come to fruition. In March, he saw Kerley win the NCAA indoor 400m title and lead the Aggies to victory in the 4x400m relay. In May, he was intrigued by Kerley's SEC Championship performance when the sprinter eased up at the finish line and still ran 44.09. At the West Prelims, Watts knew that the weather conditions and championship stakes were set up perfectly for a record. 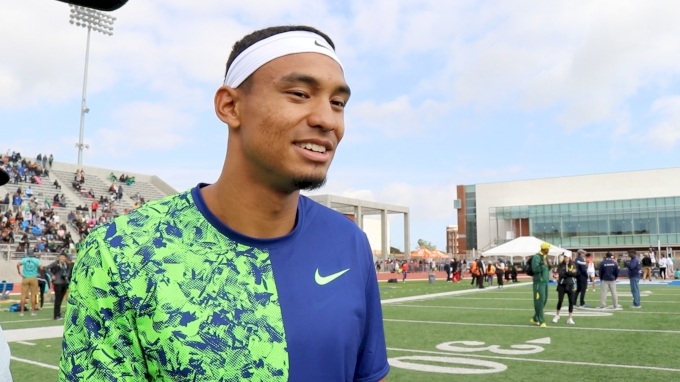 "I actually told coach Caryl [Smith Gilbert] (USC director of track and field), 'Today is a great day to run a 400m.' I had an idea that it was going to go down," Watts said. That 400m connected two eras of track and field. 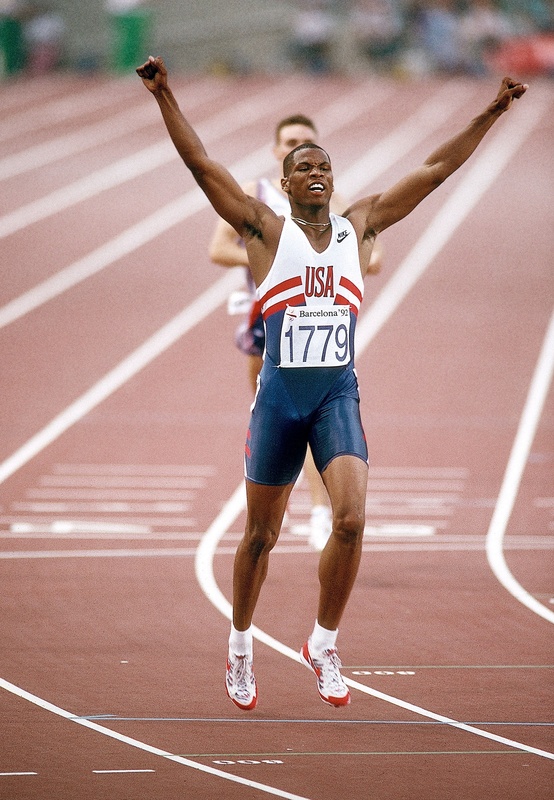 Twenty-five years ago, Watts ran his record, which also took place at the University of Texas. The performance was the perfect ending to his college career at USC and the beginning of a breakthrough professional career. After winning NCAAs, Watts went on to place third at the Olympic Trials and make the 1992 Olympic team. At the Games in Barcelona, Watts won Olympic gold with another personal best of 43.50. The mark still stands as the ninth-fastest run all-time, and Watts is the fifth-fastest man in the history of the event. But as Watts admits, he has never been one to dwell on the past. He doesn't keep any Olympic memorabilia on display in his house, and he even gave away his Team USA uniform after he finished racing in Barcelona. A fan recently mailed it back to Watts, a gesture he appreciated. Years after making his mark on track history, Watts finally took the time to appreciate what he did. Kerley helped him do that. "It gave me an opportunity to reflect on my career and the record being there for 25 years. It made me appreciative of my era and what I did because I was oblivious to it," Watts said. "I've never been one to rest on what I did the day before, but this time was different. I soaked it up, and I enjoyed somebody else doing great things." It reminded me that when I was in college and when it was my time, I did the best that I could. That's what it's really all about. When it's your time… when you stand on that line, did you do the best you could? After Kerley crossed the finish line, he ran along the track's edge to meet Watts at the 300m mark. The former record-holder congratulated the new record-holder, a moment that effectively passed the torch to the next generation. "You're signing up for the pain business when you decide to run the 400m, but when you run it right, it's beautiful to watch. Fred Kerley ran it right," Watts said. As Watts pointed out, Kerley shares key similarities with the great American 400m sprinters of the past--"the speed, stamina, endurance, and courage." It's a rich history that includes 44 Olympic medals. In total, the United States has earned 19 gold, 13 silver, and 12 bronze medals in the men's 400m, highlighted by a gold streak in every Olympic Games from 1984 to 2008. However, the gold streak ended in 2012 when none of the Americans made the Olympic final in London. After winning gold in 2008, LaShawn Merritt returned in 2016 to earn bronze in the same race in which South Africa's Wayde van Niekerk broke the world record in a stunning 43.03. Watts sees Kerley as a continuation of the American 400m legacy and a sign of hope for the United States' future in the event. "This is what the U.S. has been waiting on for a long time," Watts said. "Fred has put the U.S. back on the map. He is a quarter-miler who is not scared to run through the pain, and when he gets to the pain, he dominates the pain and he challenges the pain. "That's what was so awesome about the 43.70; it was the way he did it. That's the legacy of the greatest quarter-milers in U.S. history--Michael Johnson, Butch Reynolds, Steve Lewis, LaShawn Merritt, Jeremy Wariner. There are so many that were great. Fred Kerley is cut from that same cloth." On Wednesday, Kerley will compete in the semifinal of the NCAA Outdoor Championships in Eugene, OR, where he will attempt to complete his historic season with another national title. The USATF Outdoor Championships will follow at the end of June in Sacramento, CA, where he will compete to earn a spot on the national team headed to the IAAF World Championships in London. From one 400m great to another, Watts refuses to put any limits on the rising star. 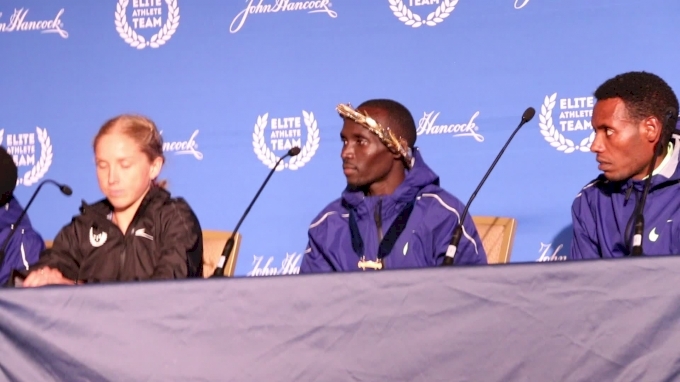 "The sky is the limit for Fred Kerley," Watts said. "He has the speed; all he needs is the competition."